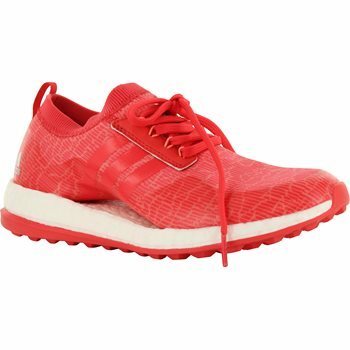 The Adidas Pure Boost XG spikeless golf shoe features unique open midfoot construction for superior fit, an uncaged feel and excellent breathability. 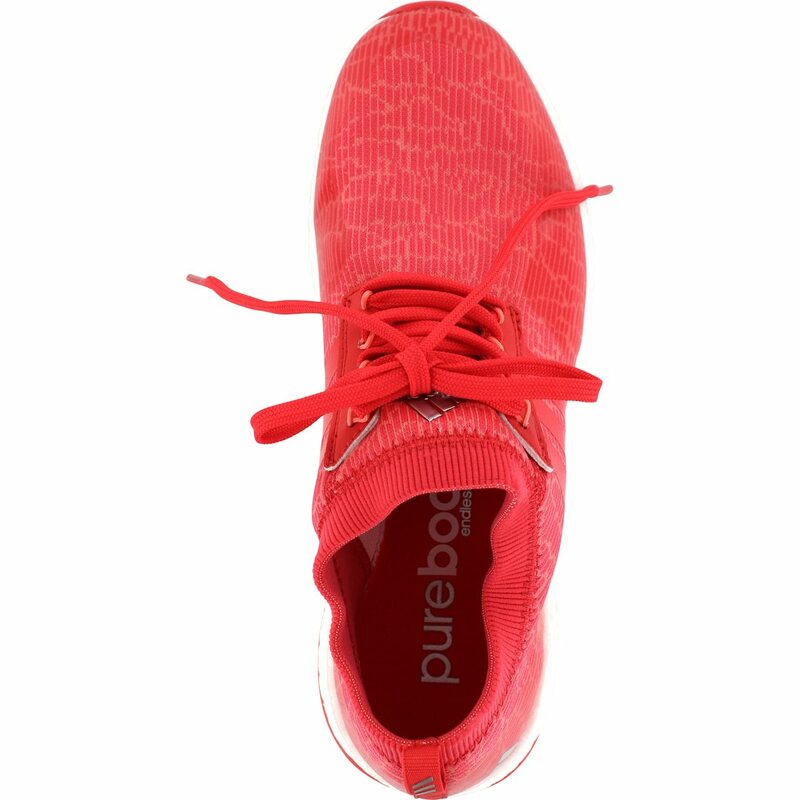 The circleknit upper material offers stretch while providing golf specific lateral stability. 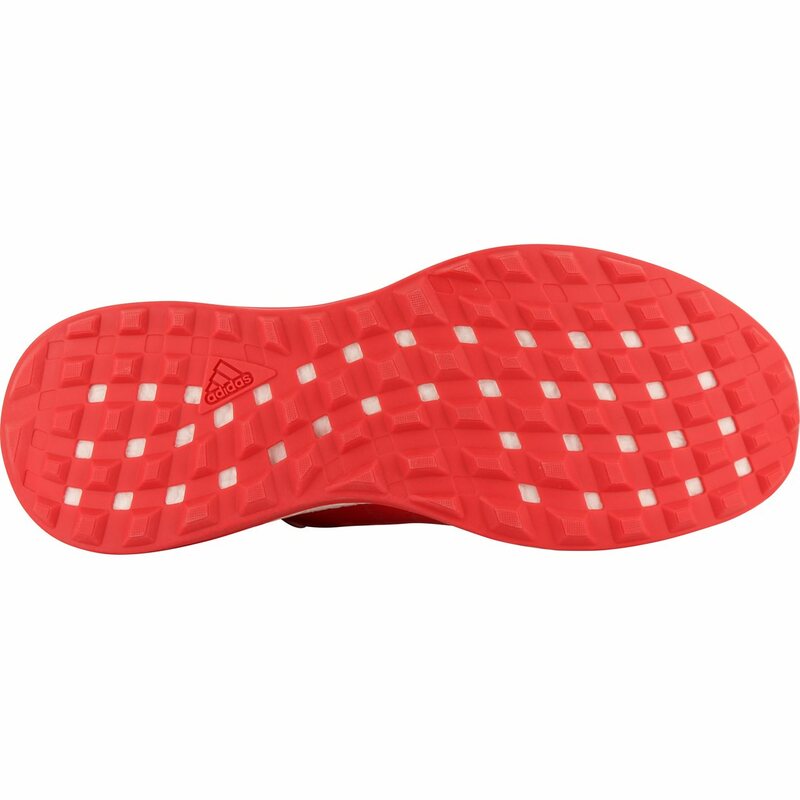 The Puremotion rubber outsole features deep and wide grooves for enhanced flexibility, comfort, and on/off course versatility. Comfort features of the Pure Boost XG golf shoe include a cloudfoam insole that provides ultralight cushioning and full-length BOOST midsole foam for unrivaled cushioning and endless energy.